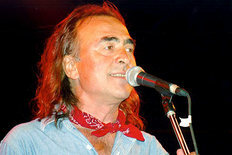 Nikolaos Papazoglou was a Thessaloniki-born Greek singer-songwriter, musician, and producer. Papazoglou began performing in a number of Greek local groups in the 1960s. He was born on March 20, 1948 and died April 17, 2011. Here is a live version of this Song! This entry was posted on Tuesday, December 9th, 2014 at 9:51 am	and tagged with Ax Ellada S'agapw, band, band. odessey, best greek band in england, best greek band in london, best greek band in the world, blog, bouzouki, bouzouki lyrics, bouzoukia, christening, Cyprus, Ellada, engagement, function, Greece, Greek Band, greek music, Greek Night, kyri, live music, music, nikos, Papazoglou, photiou, sagapo, sagapw, stoixoi, wedding and posted in Blogs. You can follow any responses to this entry through the RSS 2.0 feed.